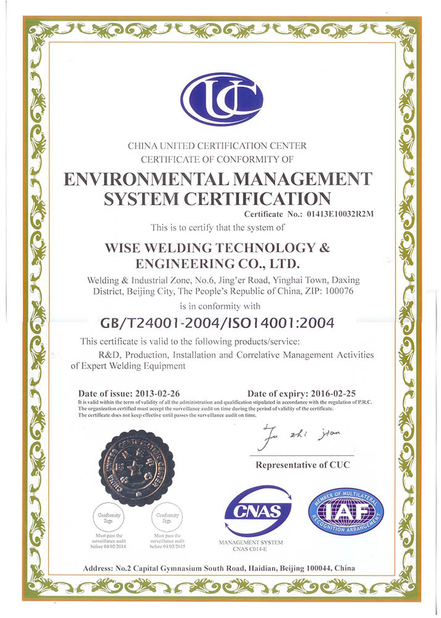 Aiming at solving the welding difficulties in space curve weld joint of nozzle-to-vessel for large piping, pressure vessel and boiler, WTEC starts research and development on thick plate welding technology, welding seam tracking, control software, welding robot and related accessories. 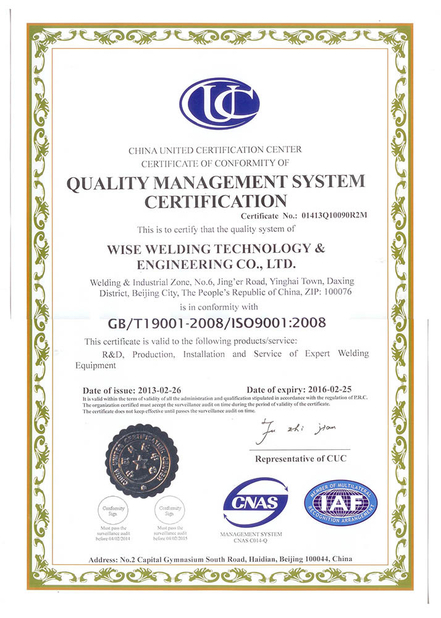 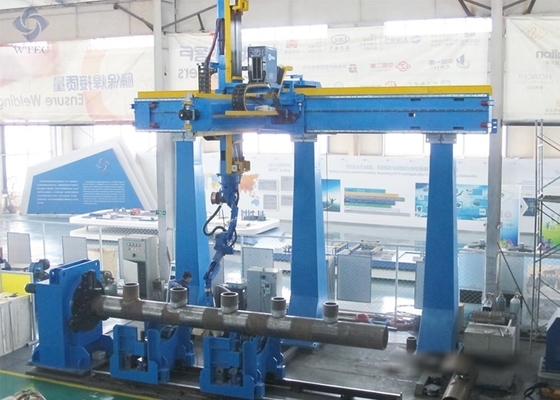 With key technology innovation, optimized technique integration of each unit, WTEC develops one set welding robot system for the thick plate space welding. Adopting offline programming, this station could realize multi-layer and multi-pass automatic continuous saddle shaped intersecting line welding.